Waterproof pelican style cases. Great for handgun or ammo storage! We are looking for NRA Certified instructors to work one on one with a shooter on the range. We are also looking for NRA certified RSOs to work the ranges as well as other volunteers for the event. To volunteer as an NRA certified instructor or an RSO, please email Frank Tait at lprgcfrank@gmail.com. To volunteer for other support, please email the program director Theresa Reynolds at theresa6733@gmail.com. Once you have signed up we will reach out with a date to meet at the club prior to the first event for a range briefing. 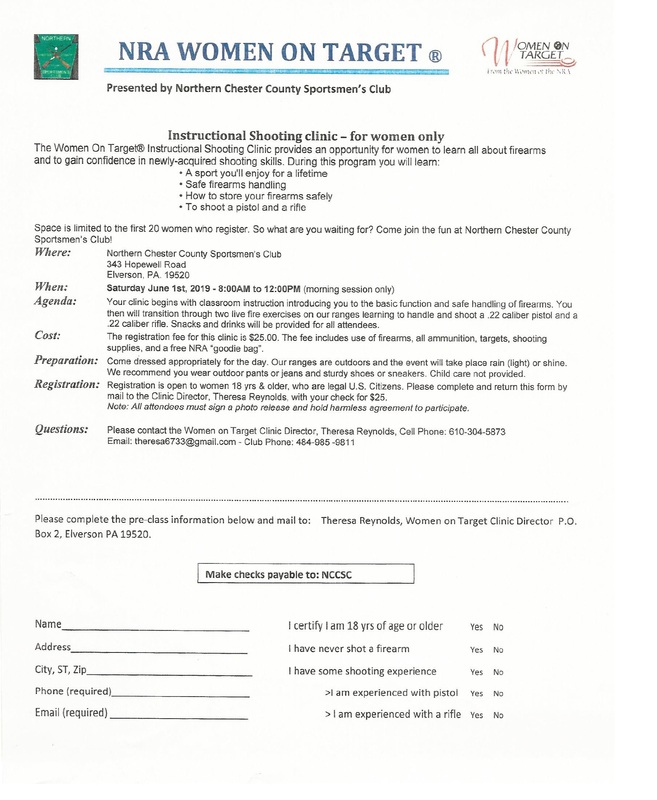 © 2019 Northern Chester County Sportsmen's Club.